“Seeing is believing, but feeling is the truth” once said the English clergyman Thomas Fuller in the 17th century. This idiom may soon gain new momentum in light of the increased proliferation of haptic technologies that allow people to have various kinds of ‘touch’ and ‘touchless’ experiences. For example, we’ve all been to 3D movies. We’ve also all been to 5D, 6D and sometimes 7D cinemas where your seat rattles and shakes. You then get sprinkled with water in the face when the movie (usually something involving a rollercoaster) goes through an underwater tunnel. A novelty experience for friends and family which aims to add “dimensions” by exciting other senses. Senses are therefore excited by special effects designed to mirror the screen or match a specific semantic space. 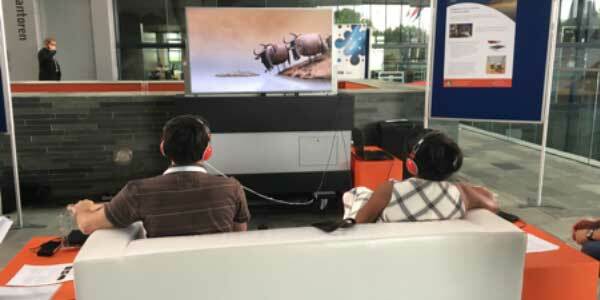 Instead, however, researchers at Sussex University and at the BI Norwegian Business School have designed haptic patterns that can enhance the viewers’ movie experience without the pattern necessarily being synchronized to the actual movie or the user having to touch, wear, or do anything. 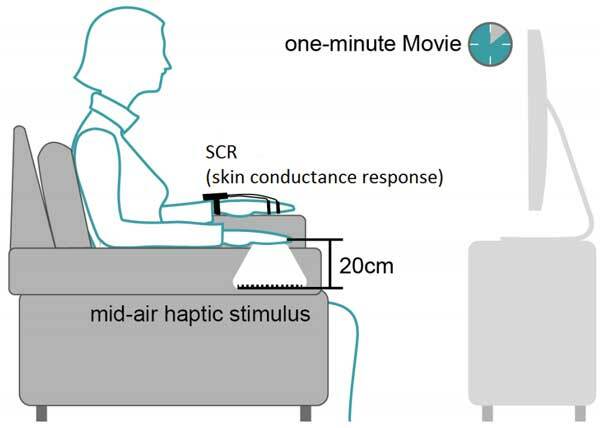 Using an Ultrahaptics device mounted to the right-hand side of an armchair, the team surveyed a total of 26 people regarding the emotional valence (intrinsic attractiveness), arousal, and liking of 6 one-minute short films, with and without the added haptic effect. Crucially, tests were repeated weeks later to remove any novelty effects. Their results are very promising and were recently published in the Conference on Interactive Experiences for TV and Online Video. The data demonstrated increased immersion, the ability to affect the viewers’ emotions, and contributed to the overall quality of the experience without requiring any added attachment or garment. Further reading: Ablart, Damien, Carlos Velasco, and Marianna Obrist. “Integrating mid-air haptics into movie experiences.” Proceedings of the 2017 ACM International Conference on Interactive Experiences for TV and Online Video. ACM, 2017.